Yes, they're delicious — but mushrooms also have unique properties. In medicine, they may even play a role as important as penicillin, says Paul Stamets (@PaulStamets), a mycologist and author. He tells Here & Now's Robin Young about how mushrooms can treat diseases such as tuberculosis and cancer — and even, Stamets says, save the bees. "People are waking up to the fact there's a hidden underground network underneath every footstep that we take," he says. "They build soils, and without fungi, we wouldn't have food." Stamets explains that humans share nearly 50 percent of their DNA with fungi, and we contract many of the same viruses as fungi. If we can identify the natural immunities that fungi have developed, Stamets says, we can extract them to help humans. One area where this might work the best, Stamets says, is in helping save the endangered honeybee population. The viruses carried by a certain mite threaten bees we rely on to pollinate almost 30 percent of the food we eat, he says. 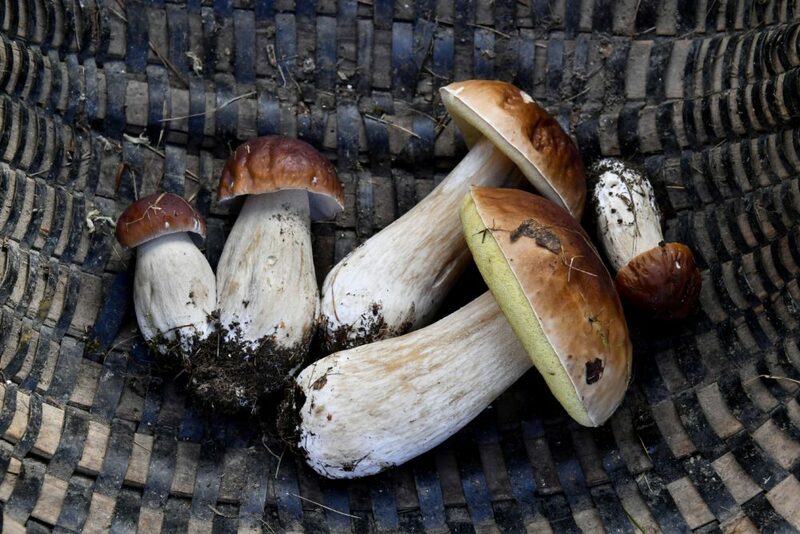 By extracting the fine tissue of two different species of mushrooms, researchers have found that can strengthen bees' immunity against the viruses carried by mites. "When you make an extract of the mycelium, the fine fuzzy stuff growing on the ground ... when we extract them and we give them to bees," Stamets says, "it reduces the viruses by thousands of times with one treatment 12 days later, and also substantially increases their lifespan." While this research into the benefits of mushrooms shows potential, Stamets says there is little funding for more studies. "This fabric of life that we exist [in] today is dependent upon the fungal networks that we walk upon with every footstep that we take," he says. "The field of mycology in my opinion should be funded to the tune of NASA because this is so critical for the survival of life on this planet." Cassady Rosenblum produced this interview and edited it for broadcast with Robin Young and Peter O'Dowd.